The ISM43340-M4G-L44 is an embedded 2.4 & 5 GHz Wi-Fi 802.11 a/b/g/n, Bluetooth Low Energy (BLE) and Bluetooth 4.0 module. 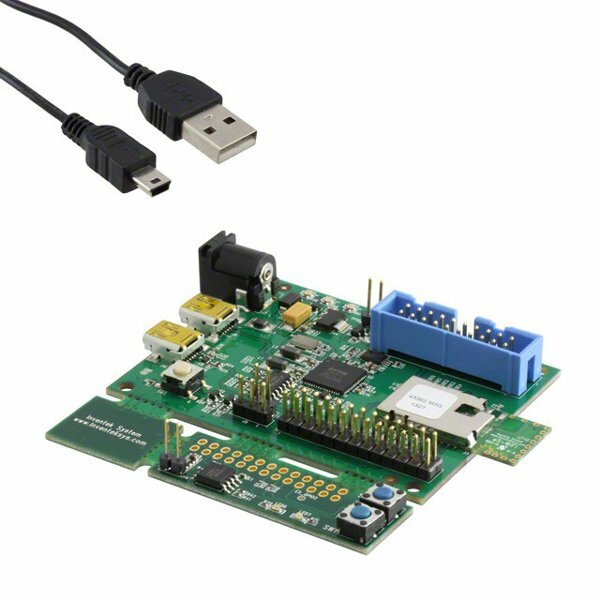 The module hardware consist of a Broadcom BCM43340 Combo radio, antenna and a STM32F405 host processor with 1MB of flash and supports SPI or UART host interfaces. The Wi-Fi module requires no operating system and has an integrated TCP/IP stack that only requires a simple AT command set to establish connectivity for your wireless product. The module has a small 14.70mm x 34.22mm surface mount footprint and has full FCC and CE module certification. 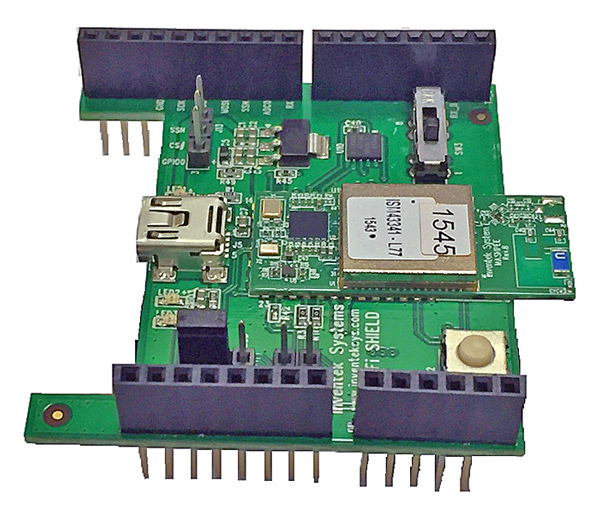 This product is targeted for low cost embedded wireless applications and enables a quick, easy and cost effective method adding WiFi, Bluetooth, and BLE connectivity to your platforms.